This year, we put our stamp on Lounges together with Dockweiler AG. In addition to a joint booth, the daily action stage with live orbital welding and live tube electropolishing, as well as a cooperation project on the topic of special parts production of stainless steel components for pharmaceutical plants rounded off the overall picture. 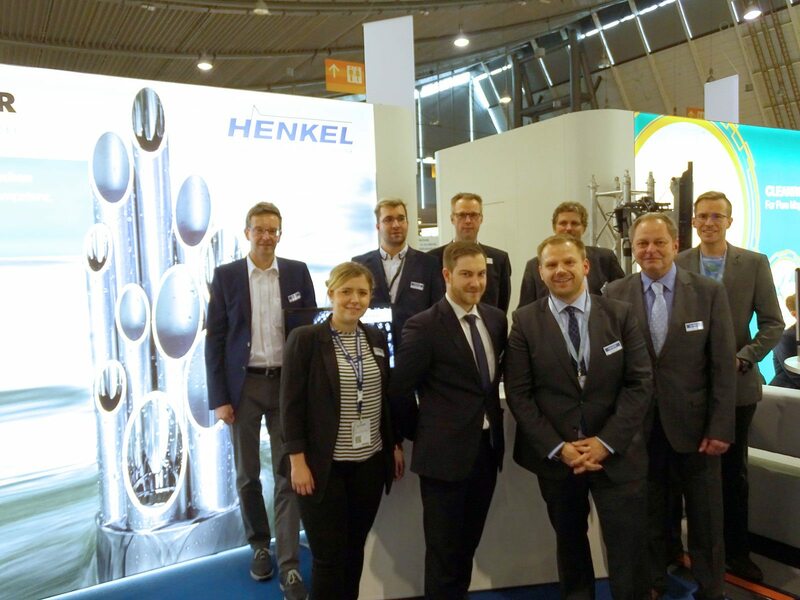 In addition, we presented a product show on the HENKEL Ferroxyltest HC7000 every day, as well as four other presentations on the topics of rouging, surface treatment of pharmaceutical plants, stainless steel material and quality assurance. 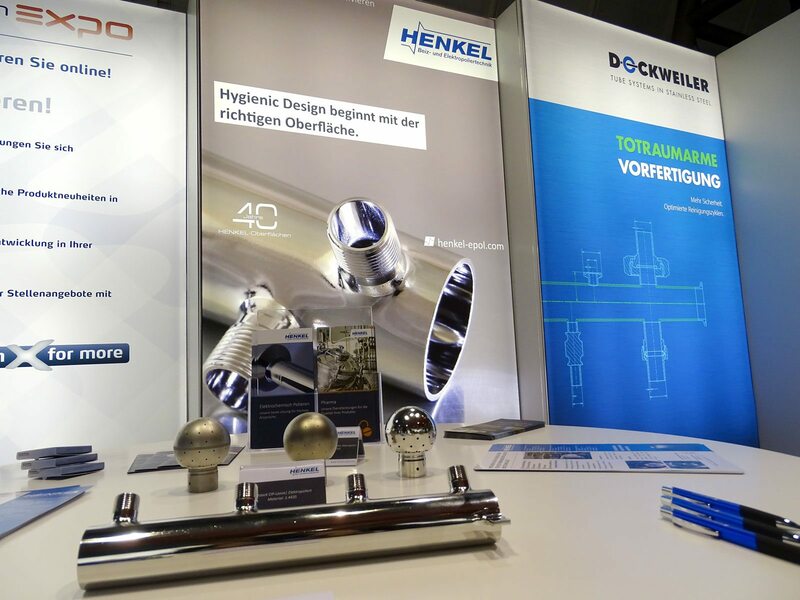 As part of the Hygienic Design Expo, which took place in parallel, we took the opportunity to introduce HENKEL and make new interesting contacts. We would like to thank everyone involved and we hope to see you at the new (old) location in Karlsruhe.